I cannot resist Book Surveys any more than I can resist a challenge. 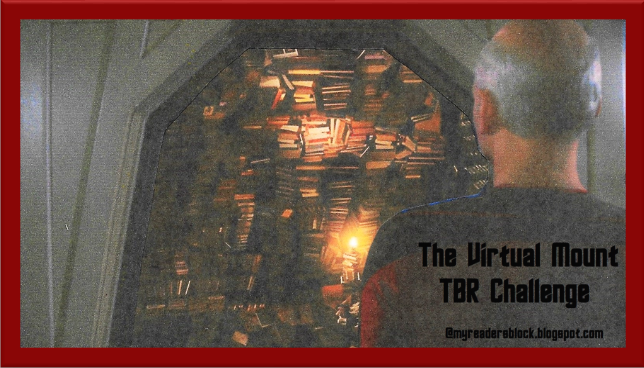 So...when my latest notification from Adam over at Roof Beam Reader revealed that he had completed a bookish A to Z Survey that he found at Jamie's The Perpetual Page Turner blog...well, I just had to do it too. Invisible Green by John Sladek: The Seven Unravellers, a long-disbanded club of mystery fans and amateur detectives, is about to meet for its twenty-year reunion when one of the members is found dead in his seedy London flat. Was it murder, or just the unhappy death of a senile old man? Discovering the book blogging world. 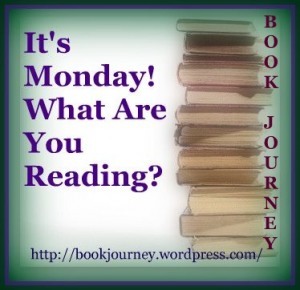 It's brought me so many online friends and introduced me to all kinds of books that I would never have tried. And--got me into challenges. Can't forget the challenges! 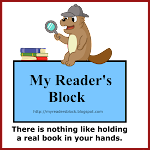 Plus--my blog gives me a place to keep track of reviews. I won't say I never read these--but I certainly prefer not to and need compelling reasons to do so: horror/thrillers--especially those involving children at risk. I am also not interested in real life trauma/drama stories (there's enough drama in the real world, I don't want it in my pleasure reading), recent psychological thrillers, paranormal romance, & I am not terribly inclined towards YA. 4. Two are tall and then the other two are smaller (used as night stands). There are piles stacked precariously in the back room and all down the hallway. And there still isn't enough room--there are about six tubs of books in storage. Strong Poison by Dorothy L Sayers — I love Sayers. It doesn't matter that I already know the solution to the mystery. Every time I read it, I discover something new--because she is just that good. On our sectional couch. In a chaise lounge under our maple tree. Also, in bed! That I didn't read some of the Children's Classics when I was younger. I read Anne of Green Gables not too long ago--and while I enjoyed it I think I would have enjoyed it more had I read it when I was young. The next India Black book by Carol C. Carr. Checking books out of the library because they sound SOOOO good and then not touching them before they have to go back. Also, I join all those challenges (mentioned above) and plot out what I'm going to read for them and then change my mind. I should save the time making the lists and just read! The Widows of Broome by Arthur W. Upfield: Broome is a little sun-drenched town on the barren northwest coast of Australia--the kind of place where everyone knows everyone else's business. How then did someone murder Broome's two most attractive widows and get away without leaving a clue? 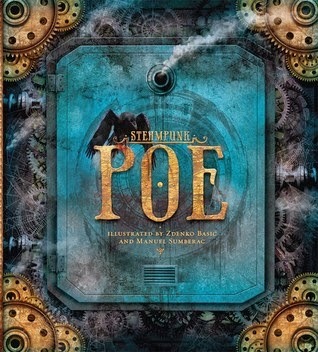 Steampunk Poe is a sumptuous collection of stories and poems by Edgar Allan Poe effectively illustrated by Zdenko Basic and Manuel Numberac with images influenced by steampunk. This edition showcases a variety of Poe stories--from the well-known "Murders in the Rue Morgue" to the more rarely anthologized "The Spectacles" and "The Balloon Hoax" and ornaments each one with steampunk-inspired artwork featuring elaborate clockwork aviation, cyborg-like evil eyes (a la "The Tell-Tale Heart"), truly phantasmagorical spectres of the Red Death and Roderick Usher's sister, and so much more. In Beyond Uhura, Nichelle Nichols tells her story from the beginnings growing up in a socially progressive family through her teen years as a young singer/dancer who had already been praised by Josephine Baker and worked with Duke Ellington. She got her first job at the age of fourteen working in a cast at the Sherman House Hotel which portrayed many of the tremendous acts which had been staged at the Sherman House's College Inn supper club in the twenties: Fred and Adele Astaire, Duke Ellington, Al Jolson, Irving Berlin and others. Ms. Nichols helped re-create the appearance of Katherine Dunham and her troupe. 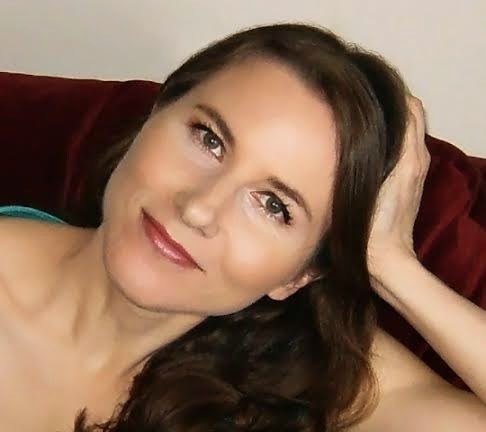 From those early years, she went on to travel solo as a singer/dancer and finally worked her way to her first television screen appearance in a new show by a new producer--The Lieutenant by Gene Roddenberry. Little did she know what working with Roddenberry on that first series would lead to. Nichelle is, as far as I'm concerned, the first lady of Star Trek. (Yes, I know that title is most often given to Majel Barrett as Gene's wife.) She is beautiful, a great actress, and an even better singer. She had a tremendous effect on the entry of women and minorities into the space program. Yes, her autobiography is just a little self-indulgent--but she's earned it. (Show me someone in the entertainment world who isn't. Most are even more so.) And..she manages through each of the negative incidents in her life--from being not only a woman in Hollywood, but a black woman in Hollywood--to remain very positive throughout. Red Herring by Edward Acheson is an inverted mystery. After a rather robust lead-in, Acheson gives us our perpetrator and we follow him as he plans, commits, and then watches another man put on trial for his crime. We begin with our"hero"--Daniel F. Farnham, 30-a something journalist who is despairing of ever making his way in the newspaper world. He has become a crime reporter and good friends with Sergeant Ryan. 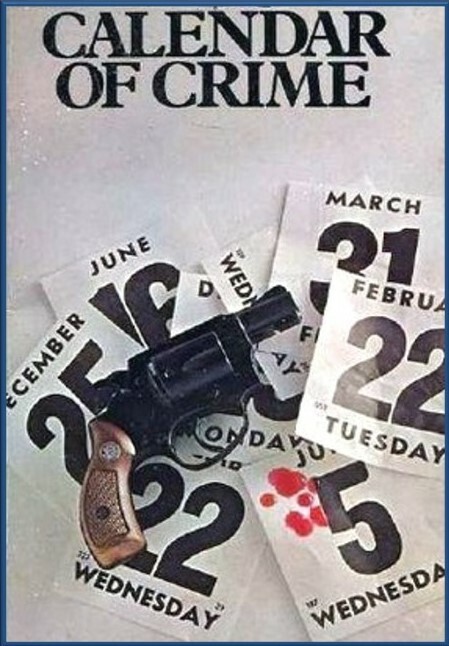 Ryan encourages him to use his familiarity with crime (and a brilliant idea that Ryan just happens to have) to write a "hum-dinger" of a crime novel--and inadvertently sets Farnham on his life of crime. It all begins with Farnham trying out methods in real life--just to see if his fictional criminal would be able to get away with all he's plotted. He devises a plan to rob a bank and methodically goes about making a duplicate key to the bank door, managing to hang about and obtain the combination to the safe. Farnham sends off his first novel (not the "hum-dinger" just yet) in hopes of an initial sale--but when his story is rejected, it suddenly occurs to him that he just might be able to rob the bank for real and then he'd have plenty of money to go off for some peace and quiet and some real writing time (instead of trying to write and work at the paper). He finds that unlike his story, he can't plan for every little possibility and his plan goes horribly wrong when the night watchman shows up (off-schedule!). He only intends to knock the fellow out, but at the end of the evening Farnham is more than a bank robber...he's also a murderer. He manages to avoid suspicion and fix up a fall guy (according to his fictional plan)...but will he really be able to escape justice? 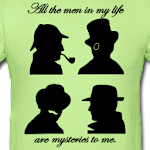 That's the only mystery at all to Acheson's tale. And I won't tell...you'll just have to read it for yourself. This fulfills the "Animal in the Title" square on the Golden Vintage Bingo card and also gives me my second Bingo. Just need two on the Silver card to fulfill my commitment. 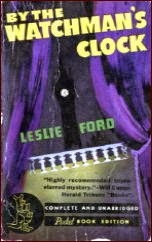 By the Watchman's Clock by Leslie Ford (Zenith Brown) is one of her stand-alone novels. Written in 1932, it is one of her earliest stories and it predates her delightful Colonel Primrose and Grace Latham series. One of the highlights (for me) is its academic ties. It is set Landover, Maryland, home of Landover College, and several of the main characters have connection to the campus. Martha Niles, our narrator, is married to one of the instructors and both she and her husband become prime suspects in the murder of Daniel Sutton--local millionaire who has held the fate of the college and the town in his rather tight-fisted grasp. Dan Sutton loved to exert his power over people--over his relations, over the townspeople, and over the local college. The only person who had successfully put a spoke in his wheels was "Aunt Charlotte"--a former servant who had been deeded her house and land for her lifetime (and to her descendents thereafter). When Sutton bought the land surrounding her home, he was determined to own that last bit. But she would not sell. No matter what he offered. He sets plans in motion that look to gain him his desired ends. Meanwhile, his niece has decided to defy him and marry the man of her choice--even with threats of disinheritance hanging over her. And, last of all, a Mexican has shown up who wants to get back land that Sutton owns but really belonged to his (the Mexican's family). And that doesn't even begin to represent the number of people who have a problem with Dan Sutton. So, nobody is terribly surprised when Sutton is discovered in his library dead from a gunshot wound. What is surprising is that Tim Healy, Sutton's gatekeeper and nightwatchman, is also dead outside the library window--apparently frightened to death. When it's discovered that Martha was roaming about the place at the vital times and that there is a whopping big motive for her and/or her husband to have disposed of Sutton, she gets to work looking for alternate solutions. This fulfills the "Academic Mystery" square on the Golden Vintage Bingo card. 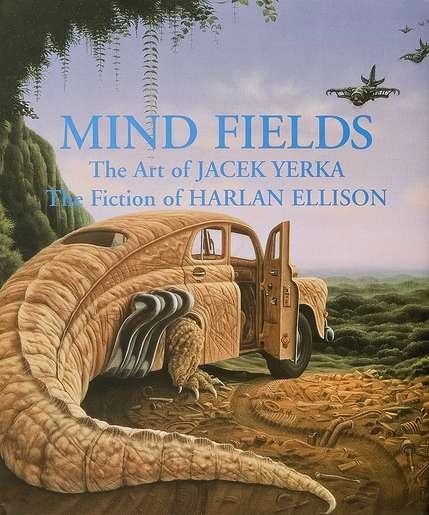 collection of 30 images by Yerka with short pieces by Ellison which tell his story about Yerka's artwork. As Ellison says, "...after you've read my interpretation, you can come back to Mr. Yerka's art time after time and invent a new story each visit." 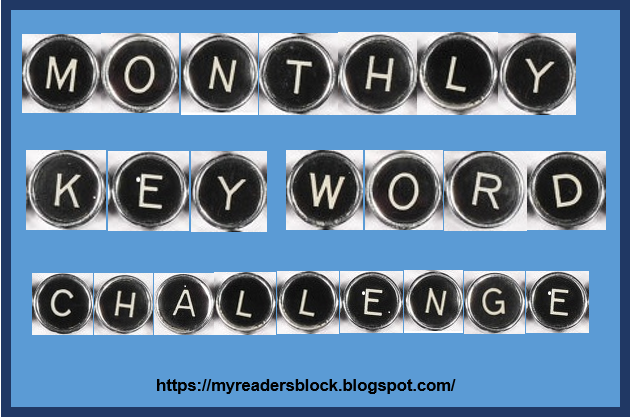 Carolyn over at Riedel Fascination took a drink of the challenge-sponsor Kool-Aid and launched not one, but three new challenges for those of us who love to challenge ourselves when reading. 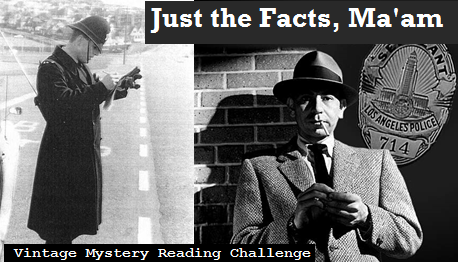 I've opted to jump in for her My Kind of Mystery Challenge. To sign up--click on the link. 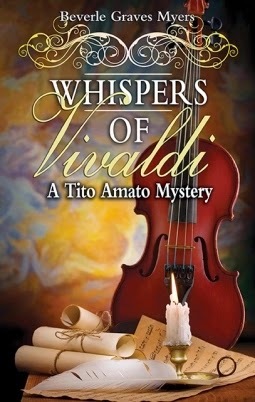 Whispers of Vivaldi is the latest mystery in a series by Beverle Graves Myers. Her Tito Amato books are set in 18th century Venice with a hero who has been a singing sensation in the operatic world. Unfortunately, an accident has ruined his beautiful singing voice but his retirement from center stage affords him the opportunity to play a role behind the scenes. His friend Maestro Torani asks Tito to help him find a way to renew the flagging interest in the San Marco opera house's musical offerings. Tito is hard-pressed to find something to bring back the patrons who have abandoned them for a rival opera house. A chance meeting brings a new, untried opera to Tito's attention and he must convince not only Maestro Torani, but also their wealthy patron that a story about a Duke who exchanges places with a huntsman and gives up his comforts to seek solace in the life of a country man has story and music enough to enchant the masses. The score is beautiful and the story has twists and surprises--and most mysterious of all, it is rumored to be the work of Vivaldi himself. Tito manages to convince those necessary and when he also manages to bring in Angeletto, the current male soprano singing star, to sing the lead it seems that all is falling in place. 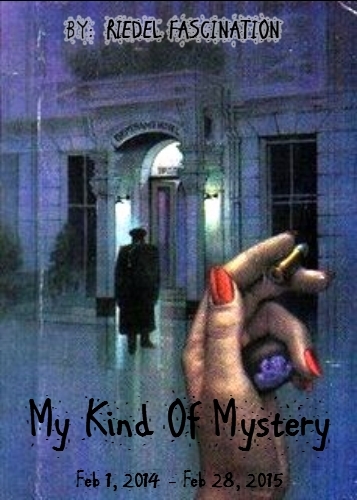 But mysteries continue to surround the production and the plot takes a dangerous turn when Maestro Torani becomes the target of various accidents and finally...murder. More murders follow and Tito must rely on his old friend Messer Andre Grande (the chief constable) as well as his own talents as a detective to unravel the plot behind the deaths before he becomes a final victim..
My Take: Sinners and the Sea is a compelling story about many things--many more things than just a retelling of Noah and the Ark. Because, honestly, this isn't simply the Biblical story that you might have grown up with...and it doesn't matter that it's not. At its heart, Sinners and the Sea is about identity-- what it is about us that makes us who we are and carries us where we need to go. Noah's wife, who remains unnamed until the final page of the novel, struggles with the fact that she has no name of her own save those that tie her to others (daughter, Noah's wife, mother, grandmother) and wonders "If Noah and my sons die...who will I be?" Her story, her journey, is all about discovering who she really is regardless of what others call her. Her story shows us that while we may see imperfections, disabilities, or disfigurements as obstacles, perhaps it is those very things that allows us to be who we ought to be, to go where we ought to go, and take others with us. Beautifully written. Kanner evokes Biblical times with realistic touches and is utterly convincing in recounting the horror with which our unnamed heroine watches humanity pulled down by the mighty waters. Her characters are well-drawn and completely believable...although not always likeable. But, then, not all people are likeable. She effectively represents the good and the bad in all humanity--even the righteous who are spared the flood. ★★★★ and 1/2 stars. 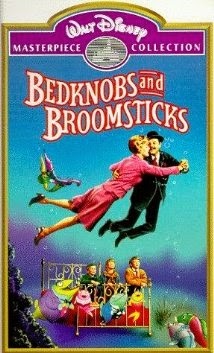 Having just read the stories by Mary Norton that were the basis for Disney's Bedknobs and Broomsticks starring Angela Lansbury and David Tomlinson, I decided I just had to sit down and watch the film again. I hadn't watched it since my son was small (many moons ago). I mentioned in my review of the book how much I enjoyed the way the movie brings the World War II themes to the forefront. In fact, they become central to the plot. Carrie, Charlie, and Paul have been evacuate (along with dozens of other children) because of the blitz in London. All of the other children have been sent home with village families, but the Rawlings have been billeted with Miss Eglantine Price, a reclusive single woman with some rather odd habits and even odder ideas of what makes up a good meal. Miss Price is not entirely pleased to be saddled with a trio of children. As she points out to the woman who has assigned homes to the children, "Children and I don't get on." Which seems entirely true--she doesn't know what to do with them and they are not keen on her supper which consists primarily of herbs, plants, and vegetables. Where are the bangers and mash? How about toad in the hole? Bubble and squeak? She finally gets them tucked up safely in bed and rushes out to her workroom to open her latest package from the Correspondence College of Witchcraft. It contains her very first broom and she can't wait to try it out. Unfortunately, Miss Price is not too steady as a pilot and the children witness her crash landing. Charlie, street-wise urchin that he is, decides to make the most of the situation. Vowing to keep quiet about her witchcraft if Miss Price promises to make some changes (primarily to the menu!). After a brief stint as a rabbit ("I never could manage toads"), Charlie and Miss Price strike an uneasy bargain with the children promising silence in exchange for a magic item. Result--the magic bed-knob and the traveling bed. Miss Price finally confides in the children the real reason that she has been studying witchcraft--she is waiting for the final lesson which will contain a spell which she hopes will help her with the war effort. When she receives a disappointing letter from Professor Emelius Brown saying that the College will be closed before the last lesson can be sent, she and the children use the bed to go in search of the Professor. Their travels will take them from the countryside to London and down under the sea and up to the mythical island of Naboombu--all in pursuit of the spell that may save England from invaders. This is a fun movie--like Disney's Mary Poppins, it is a mixture of live action and animation and provides lots of entertainment. My favorite part is the final moments when Miss Price uses her new spell to send the Nazis running from England's shore. A nice trip back down memory lane...to when I watch Disney movies with my son. ...Speaking of my son--he just wandered through and noticed the VHS case (yes--it's been 'round the house that long) and commented, "Someone's been watching Bedknobs & Broomsticks." I told him that I'd read the book and just had to watch the movie again and he asked if the book was as good. I knew immediately what he wanted to know (it's his favorite part too) and explained that the war effort was not as prominent in the book. "You mean she doesn't cast spells on ancient armor?" No. No, she doesn't. He has no interest in the book now. I told him that the book was good. Just different. But I have to admit...I miss the animated armor in the book myself. Sinners & the Sea: The Untold Story of Noah's Wife by Rebecca Kanner: The young heroine in Sinners and the Sea is destined for greatness. Known only as “wife” in the Bible and cursed with a birthmark that many think is the brand of a demon, this unnamed woman lives anew through Rebecca Kanner. The author gives this virtuous woman the perfect voice to make one of the Old Testament’s stories come alive like never before. 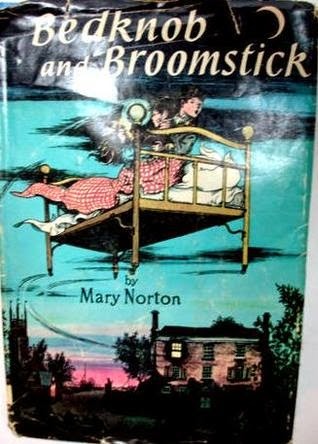 My edition of Bed-Knob and Broomstick is the 1957 version which combines both of Mary Norton's works (The Magic Bed-Knob or How to Become a Witch in Ten Easy Lessons AND Broomsticks and Bonfires) in a single volume. The first section of the book (equivalent to The Magic Bed-Knob) reveals how Carey, Charles and Paul Wilson came to know Miss Eglantine Price and the adventures they had as a result. The children are sent to the country to stay with their Aunt in Bedfordshire. One morning when they go out early in the morning to hunt mushrooms they find Miss Price in crumpled and torn clothes and with an injured ankle. She is pretty evasive when they try to find out what happened to her, but Paul (the youngest) calmly supposes that she must have fallen from her broomstick. So, Miss Price confides to the children (I'm guessing she's been longing to share her secret with someone) that she's been studying to be a witch, but she's not so very good at it yet. It takes an enormous amount of concentration and uninterrupted time--especially if one wants to be a proper wicked witch. She no sooner reveals her secret when she immediately regrets her indiscretion and (in good wicked witch form) starts thinking of some way of shutting the children up. Carey suggests an alternative--what if Miss Price gives them something magical and puts a spell on it so if the children reveal her secret then the magic will no longer work? The bargain is made and Miss Price enchants a bed-knob that Paul has unscrewed from his bed. If he screws it on half-way and makes a wish, the bed will take them anywhere they'd like to go--past or present. The children take it on a test run back to London--because Paul is missing his mother and get into all kinds of trouble with the police in the war-time black-out. They decide that their next adventure may need a little more (magical) insurance and invite Miss Price to join them on a visit to a South Seas Island. Their goal is to investigate the coral, but they wind up back in trouble...this time with cannibals. By the time Miss Price can get them out of harm's way and safely back to Paul's bedroom, they have no time left to clean up the sand and salty water before their aunt discovers the mess. She naturally doesn't believe their explanation of how it happened and packs them up and ships them back to their mother. End of part one. Previous to finding this book in a stack of books to be thrown out in the hallway at work (don't even get me started on that particular horrifying moment), my only exposure to the story of Miss Price, the apprentice witch, and the Wilson children (renamed Rawlings by Disney & co.), Carey, Charles, and Paul, was the Disney film starring Angela Lansbury and David Tomlinson. I thoroughly enjoyed Disney's animated/live-action treat but it was very interesting to read the original stories and see how much had been changed--as Disney always did. One thing I do like about the Disney film is that it brings the themes of World War II very much to the center of the story. The book(s) by Norton touches upon the war--with references to the black-out and the children wondering if it would be fair to use magic in war-time. What if all the soldiers were turned into white mice? But, unlike the movie, Miss Price is not studying magic to aid the war effort--she simply wants to become a witch. And apparently a wicked one at that--though her actions belie any real wickedness in her nature. I enjoyed this venture into the book behind the Disney film more than Mary Poppins (for my take on that please see my review)--there wasn't quite the difference between the book and the movie in the character of Miss Price as there was with Mary. It is wartime in Britain and Ursula Finton is eager to join a branch of the women's services to do her part for her country. Her family most definitely disapproves--ever since Ursula had a bout of scarlet fever she has been prone to attacks of heart trouble when excited or stressed. Her devoted family fear that she will bring on a fatal attack if she gets herself involved in the war effort. But Ursula doesn't believe she has heart trouble--the attacks only occur when she's at home--so she goes to a London specialist for a thorough examination. He provides her with a clean bill of health and a certificate for her to give the medical board stating that there was nothing wrong with her heart. The military doctors reach the same verdict when they examine her and are fully prepared to admit her to service. So why did she succumb to an apparent fatal heart attack in the dressing room as she prepared to leave? Dr. Rachel Williams, a member of the medical board, can't believe that three eminent doctors (including herself) could have misjudged Ursula's health and calls on Dr. David Wintringham to investigate. Wintringham is currently involved in war work of his own and has pretty much given up his dabbling in crime, but when a certain clue comes to light which leads him to believe that Ursula's death may tie in with his current "hush-hush" assignment he willingly begins to dig further. His investigations lead him to the Finton's country home where motives are thick on the ground. If her death is not related to the mysterious "PH" gang that Wintringham is trying to trace, then it may well be one of her "loving" relatives--eager to inherit the property she currently is heir to. 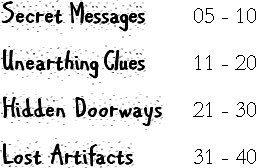 Or perhaps dear old Nanny would prefer that her favorite--Ursula's cousin--were master of the house and land rather than beholden to Ursula for his livelihood.Wintringham and Inspector Staines follow up the clues...to a solution that is far more complicated than they imagined. 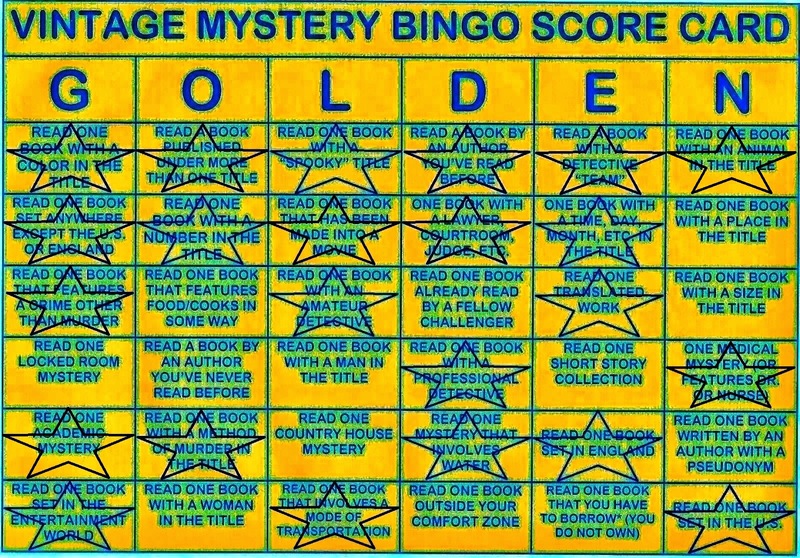 This fulfills the "Features a Doctor or Nurse" square on the Golden Vintage Bingo car. 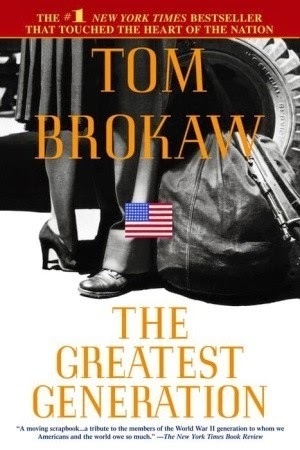 In The Greatest Generation, Tom Brokaw brings to life the stories of a generation of people who taught America what courage really is--from the front-line heroes and heroines to the workers and loved ones at home. Each teaching us about sacrifice, honor, and bravery in their own way. Brokaw brings us profiles of the ordinary men and women who answered their nation's call and who returned home to continue their quiet lives with dignity and a sense of community spirit. He also highlights the lives of more prominent veterans whose service to their country didn't end when the war was over--men and women who served in high levels of government and the armed forces even after the peace treaties were signed. The stories are poignant and touching--revealing the depths of sacrifice behind each profile. They are stories of loss and love, friendship and valor. They touch on the challenges that the women who served (or worked at home in place of the absent men) faced when the war was over. The difficulties in being forced to return to pre-war expectations. They also highlight the discrimination that all Americans of color faced even as they volunteered to put their lives on the line for their country. 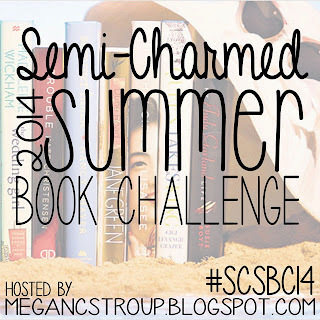 Megan is once again hosting the Semi-Charmed Summer 2014 Book Challenge! So, of course, I'm signing up. Yes, I know I need help. She's interested to see what we plan on reading for this challenge, so I'm going to try to come up with a list of proposed reads. We're not bound by our lists (which is good, because my whims may change). Why don't you join me? 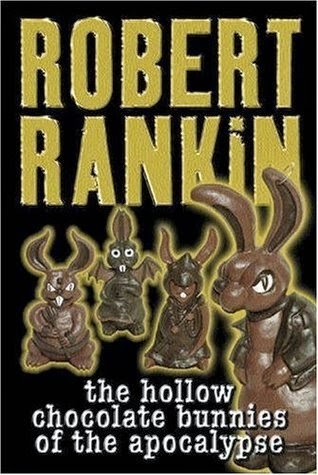 The Hollow Chocolate Bunnies of the Apocalypse is an epic title. That would be why this book jumped off the shelf at the library, into my hand, and insisted that I needed to take it home with me. Which I did. Sadly, the book did not quite live up to its epic title. The book is good. The book is funny--as I expected it to be. But it's not that good. And it's not that funny. There are places in it where I am sure there are jokes and I'd get that feeling that I was supposed to laugh--like Robert Rankin had paused expectantly waiting for the audience to provide the laugh track. But then I'd be like Sherman in the Mr. Peabody & Sherman movie (which we just saw at the drive-in last Saturday) and I'd look up and think to myself I don't get it. Rankin has created an interesting premise. A young man named Jack is on his way to the big city to seek his fortune--he's heard stories that that's where all the fortunes to be made are made. But when he gets there, all is not as glamorous as he's been given to believe. First off, the "big city" is really Toy City (aka Toy Town). Everybody is a toy except for the rich and famous nursery rhyme characters like Little Miss Muffet and Little Tommy Tucker and Ole King Cole, etc. And there is a serial killer loose who is knocking off the Mother Goose celebrities one by one in rather gruesome methods based on their rhymes. The Toy City police are stumped and Bill Winkie, a Private Eye who has starred in his own series of crime novels, has mysteriously vanished. Jack runs into Winkie's sidekick, Eddie Bear, and Eddie convinces him to partner with him to solve the murders and collect a fabulous reward. Because you know, Eddie was the real sawdust--er, brains behind the P.I. business. Eddie leads Jack into underage drinking, high-speed car chases, in and out of jail, and into encounters with mysterious spider women. There will be quite a few more deaths and some high-tension drama before Eddie and Jack can find out who's really behind the nursery rhyme murders.